CBF Bakery Systems is based in York, Pennsylvania, where we design and manufacture complete pan and product handling systems ranging from conveyors, oven loaders and unloaders to proofers, retarders, coolers and depanners. Innovation, expertise and experience are the hallmark of our company, and it all starts with Frank Achterberg, the President of CBF Bakery Systems. His over 30 years of experience in the design and manufacturing of equipment for the food industry is unrivaled. 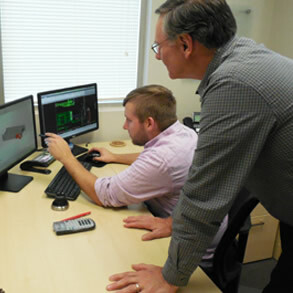 Our team of veteran engineers and skilled craftsman only further enhances the value we offer to our customers. CBF Bakery Systems is ready to help make your production process more efficient and cost-effective. To learn more about how we can serve you, please contact us at 717-793-2941 or sales@cbfbakerysystems.com.